Lie back and listen to the sounds of beautiful Anna Maria Island: the crash of the waves on the white sand beaches; the cry of seagulls in the air; the laughter of families. 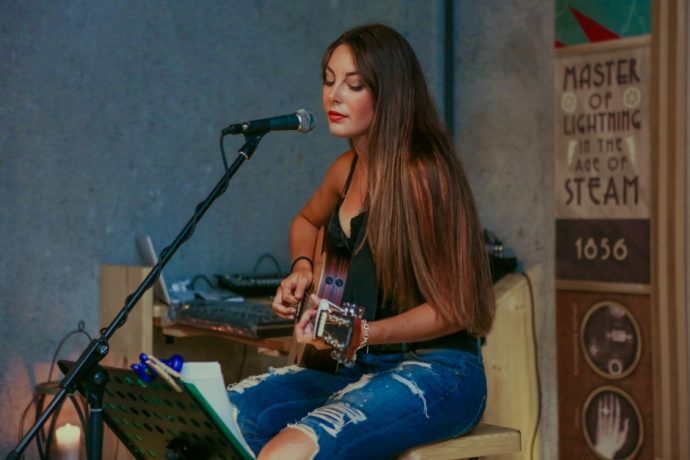 But when you want to hit the town and enjoy the nightlife or a drink at one of the many pubs or bar and grills found on the island, there’s a different sound you can enjoy: live music! You can find all types of music on Anna Maria Island: rock, reggae, country, soul, jazz, blues…something for everyone! Listen to live music in a relaxed tropical setting! An open-air bar with a patio is the main feature of this popular eatery. A third-floor terrace offers a spectacular view of the sunset. Seafood is the mainstay here: from oysters on the shell appetizers to grassy key group or stuffed lobster tails as entrees. Don’t want seafood? Chicken and steak dishes are offered, too: chicken or beef tacos, rosemary chicken and sirloin steak are found on the menu. Live music plays nearly every night at the open-air bar — a wide variety of local acts, from country music to covers of classic bands. At the Freckled Fin, you’ll find nightly live music, American food and gourmet pizzas. You can choose from seafood, hamburgers, hot dogs, a wide variety of sandwiches and seafood and American appetizers. Dinner baskets, wraps, tacos and fantastic desserts. Outdoor patio dining is available in a very casual setting. Enjoy a full bar and fun party atmosphere. Music inside or on the patio: acoustical, soulful, rock…all types to heighten your restaurant experience. Ahoy, music lovers! Step into a seafood restaurant with a nautical theme, complete with sea-blue booths and ship-lamps over the beer and wine bar for that intimate feel. Set in a 1920s cottage, Blue Marlin has a covered deck where you can enjoy great food and live music. Start with something like garlic shrimp or steamed clams for an appetizer, then dive into blackened fish Alfredo, linguini white clam or any of our other fine seafood entrees. Live music is offered with a different band every Friday and Saturday night! The Bridge Tender Inn is a top Bridge Street location for casual dining and live music. Here you’ll find a spacious restaurant with appetizers, sandwiches and dinners. Roast duck, fried shrimp, short ribs, strip steak, pasta– so much to choose from! Sit outside by the water and have a drink from the outdoor bar, or relax inside and catch the latest sports game on the large-screen TVs. It is open seven days a week. You’ll get to listen to occasional outdoor live music by top local musicians, along with afternoon and evening events. Nothing fancy here, but nothing fancy needed: just a great party atmosphere. A pub and dive bar, this is a great hangout place to meet new friends, listen to local live music, and dance. You’ll find great rock and electric blues music with an outdoor bar, too! Anything goes at the Drift Inn, found on Bridge Street. 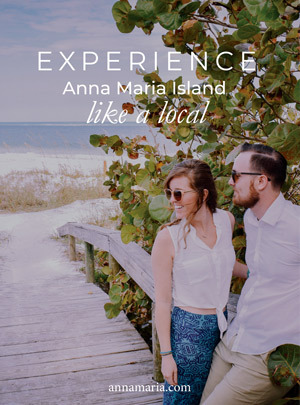 As you can probably already tell, many of the popular locations for live music on Anna Maria Island are found on Bridge Street, known as one of Anna Maria Island’s gathering hotspots. Along with dozens of restaurants, shops, galleries and other things to do, you can choose from many places that feature live music; some on weekends only, others on most or every night of the week. So, book a Bradenton Beach vacation rental if you’re wanting to enjoy some of the island’s best live music venues and get the experience of a lifetime!